COME TO DISCOVER DEEJAY XMASTERS AWARD IN SENIGALLIA AND SLEEP AT MASTAI! 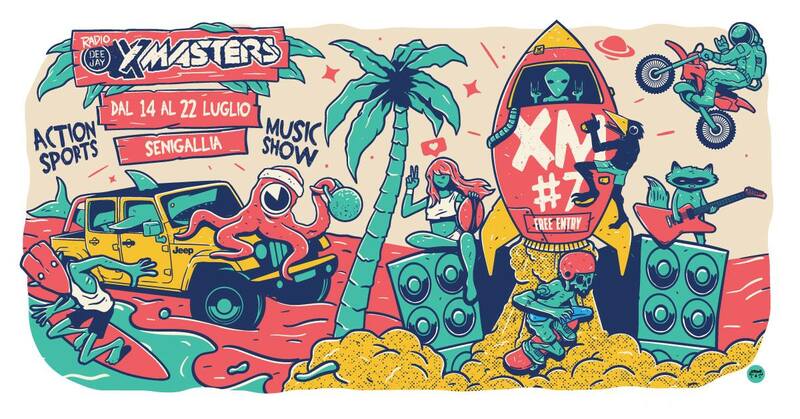 DEEJAY Xmasters are ready to come back in Senigallia! From the 14th to 22nd July the Velvet Beach of Senigallia will host the 7th edition of the one and only italian summer free event dedicated to the world of action sports. These include surf and skateboarding, which will see once again the participation of the New Balance Numeric Italy team, but also branches related to the sea and board sport such as kitesurf, windsurf, Wakeboard and SUP. Then will return the BMX Fresstyle’s Team Butta, with the Italian National team athlete Vittorio Galli, as well as Surf Skate of woodwave. Radio DEEJAY will broadcast the musical plan of the event, especially during weekends! Among famous guests on Saturday 14 July we will have Tropical Pizza Sound Sistem, Nikki and DJ Aladyn band and a group of musicians. With the support of Jeep, one of the most appreciated activity by the participants of DEEJAY Xmasters will also return this year: the test drive vehicle off-road Jeep range set up on the beach. The Italian League Beach Rugby, will once again stop in Senigallia at DEEJAY Xmasters, while now in its 3rd edition the Xmasters Cross Challenger. For the first time DEEJAY Xmasters will also host Running! The sunrise of 14 July will start with the Sunrise Run: 8km of track event which ends inside the DEEJAY Xmasters Village, establishing the beginning of the party! But it won’t be the only activity related to the world of “fitness”. Thanks to the partnership with Bibione’s Beach Fitness, there will be a variety of content, activities and especially some surprise guest! Sleep at Mastai and come to discover this amazing event!